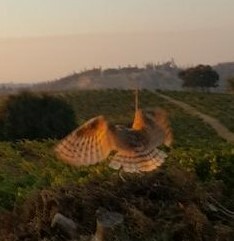 Gophers are a huge agriculture problem, particularly given increasing environmental pressures on vineyards and farms to be ‘organic’ by reducing pesticide usage. 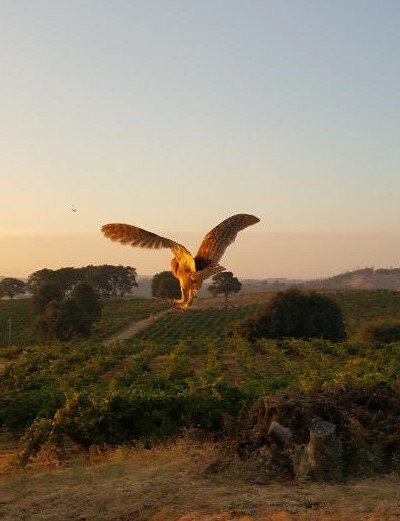 “When a friend mentioned Barn Owls as a natural solution, I called Dr. Martin Cody, UCLA Professor Emeritus, who had also retired to our area and spoke at our Rotary Club about owls. 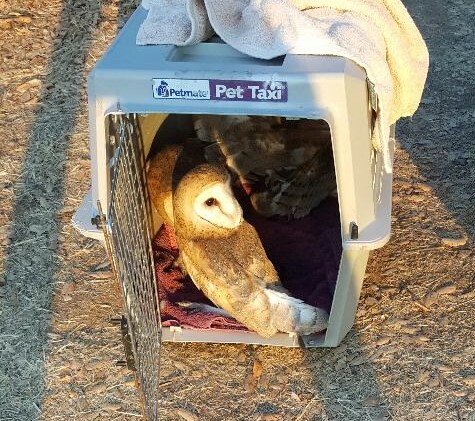 He said the Barn Owl is the most efficient hunter of small mammals but their old nesting environments were going away and the population was shrinking.” However, he said, “if you build a safe home, they will nest in it and the population will increase…and gopher populations will decrease.” Hmmm. There are related rewards. 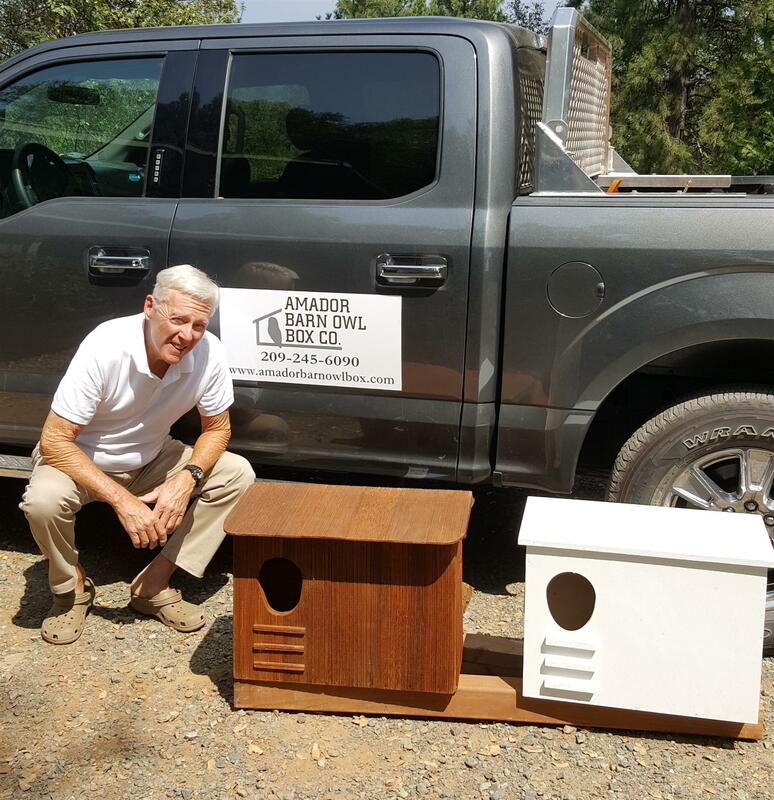 Six weeks ago, the company was asked to relocate a Barn Owl Box that had been abused by a vineyard tractor. Lo and behold, even this late in season, there were small owls in it. They were lethargic and slow to react; no sign of the parents. 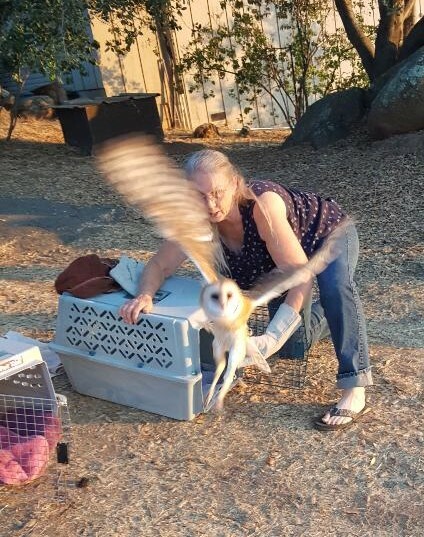 A local partner who rescues and rehabilitates raptors-in-need was called. She removed 6 (yes, six) babies and took them home. “Monday of this week, she called me, that it was time to release them – at dusk that evening. We actually released 9. What a sight! 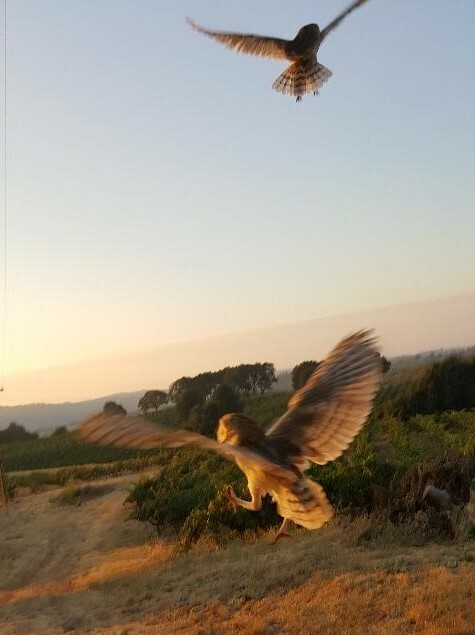 Nine very healthy high-energy young Barn Owls had their freedom and went for it. Austin is Past President of the Rotary Club of Plymouth-Foothills. 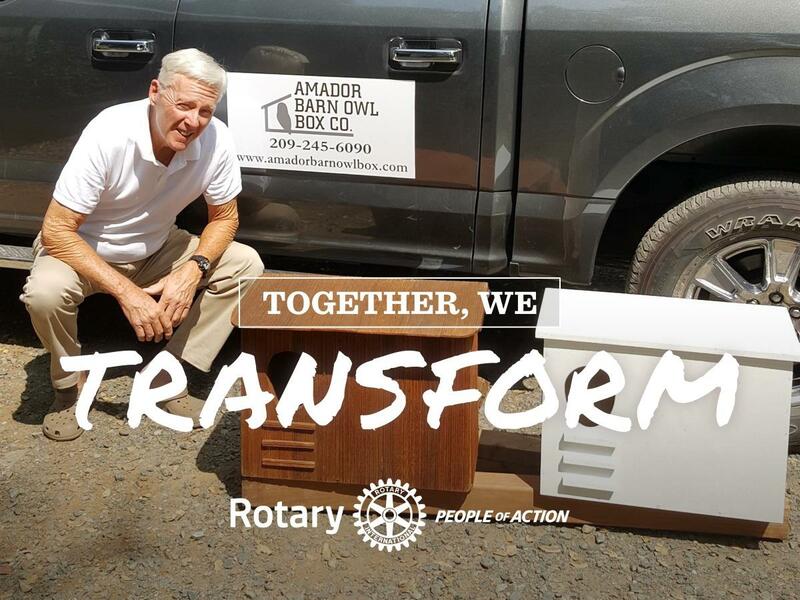 He is retired from High Tech but consults to startup businesses, often as a service of his Rotary Club.